This Compressor station will be developed due to gas sales opportunity to public electrical company for their Gas Turbine Generators. 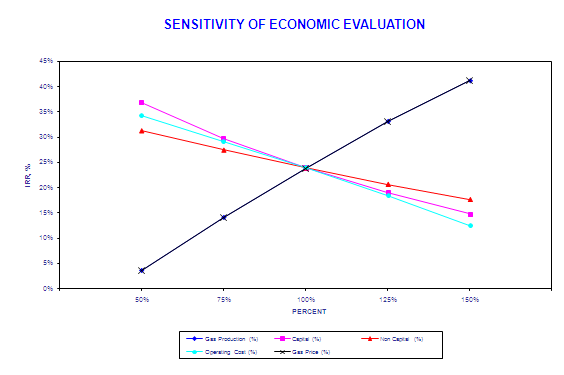 This analysis will give us the idea of economic limit of the project. 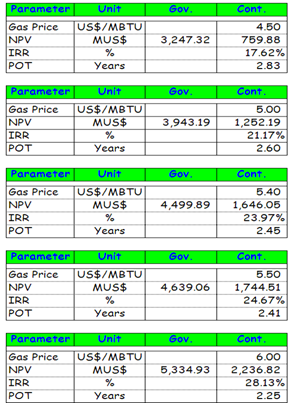 The uncertainty of gas price against the capital investment, operating expense as well as proven certification reserve. The Compressor Package shall fulfill the technical requirements as Basis of Design and economically feasible based on the capital investment, operating expense and revenue generated. Table below is showing Production Profile for 5 years service life, forecast of investment, opex and method of depreciation. 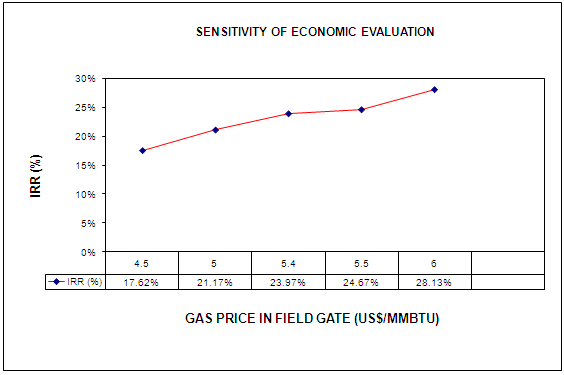 How do we know the sensitivity against gas price (from US$4.5 – 6 /MBTU), NPV@10%, IRR, capex and opex ? 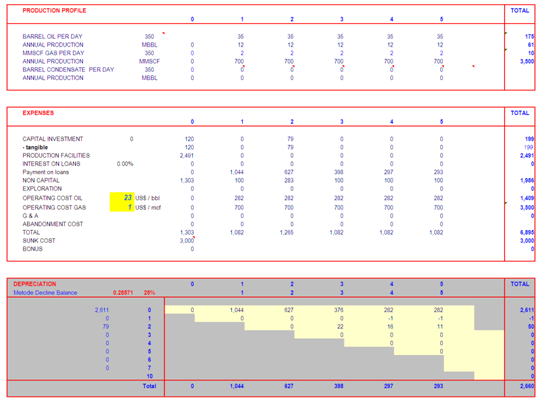 The table below is showing calculation of those parameters. The Highest Net Income for Government. Life Time for 5 years. 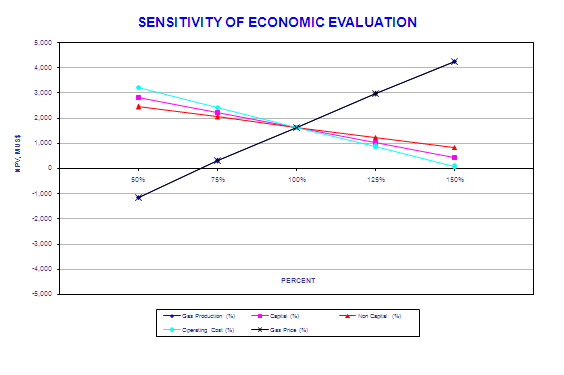 Cost Depreciation is applied for Double Declining Balance which is 5 years for production facility. The projected cost for compressor station for US$3.1 million is still acceptable for the worst case gas price US$4.5 /MBTU. Gas Compressor Station for US$3.1 million , is this worth Doing? Estimated revenue generated at NPV10% for Government Take is US$3.247 million for 5 years operation. The Pay Out Time is 2.83 years with IRR17.62%. This entry was posted in Candra Nugraha, Week #16. Bookmark the permalink. OUTSTANDING as usual, Mas Candra!!! Can’t wait to see your paper!!! Given you clearly understand the problems in Engineering Economy, as soon as your paper is done, you will need to focus your efforts on the problems in Humphrey’s, as Part III of the CCC/E exam is on applied project management. Dr. PDG, enjoying the fishing on Cape Cod.